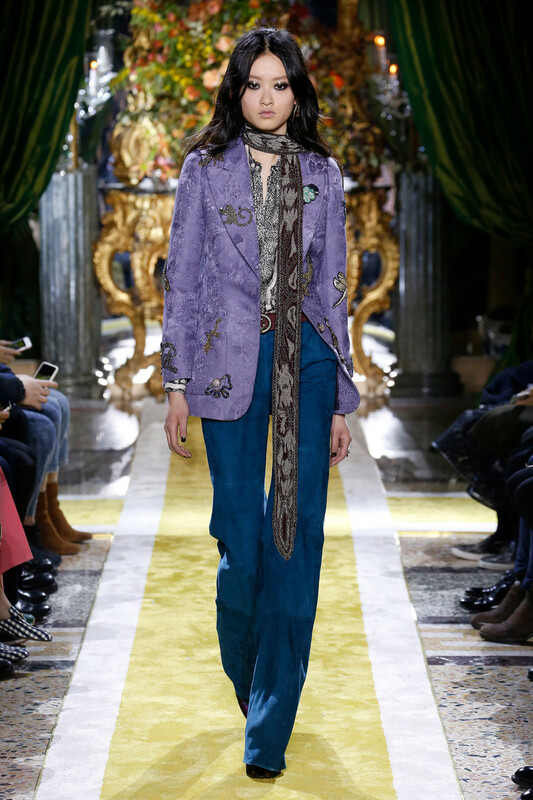 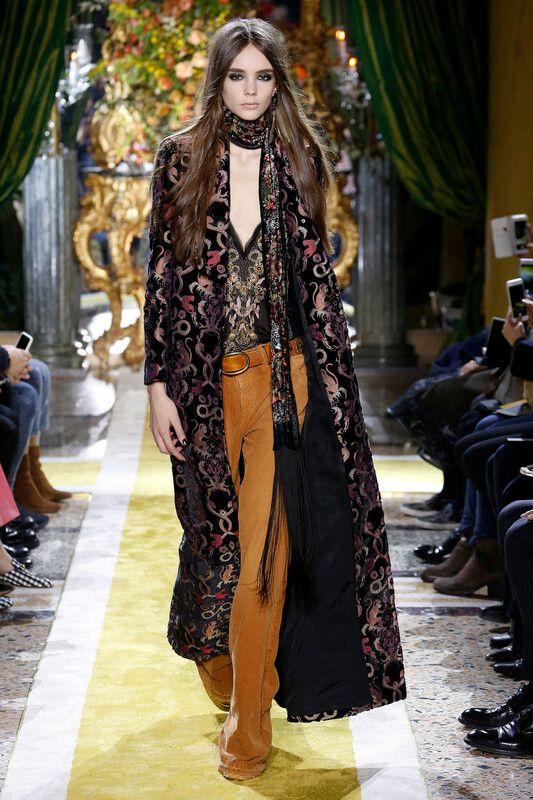 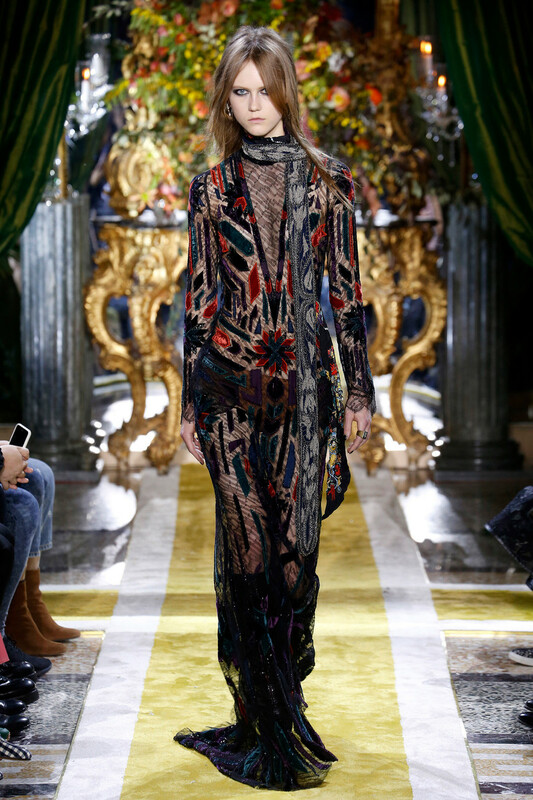 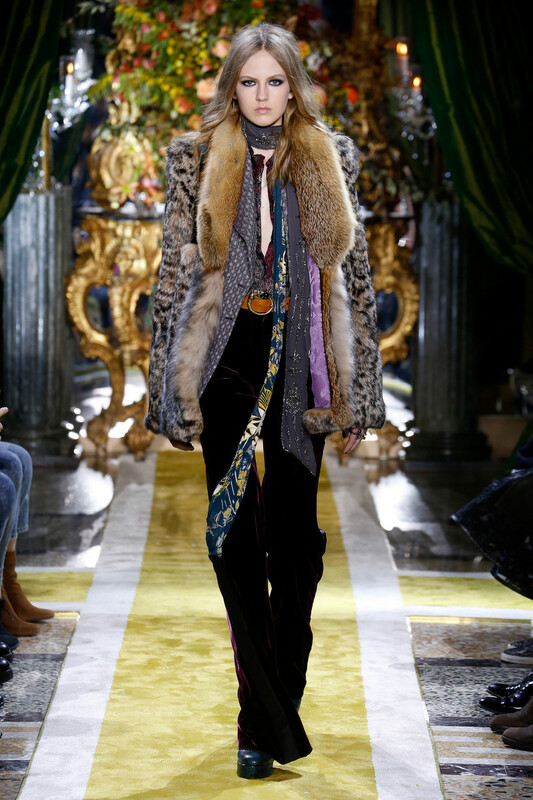 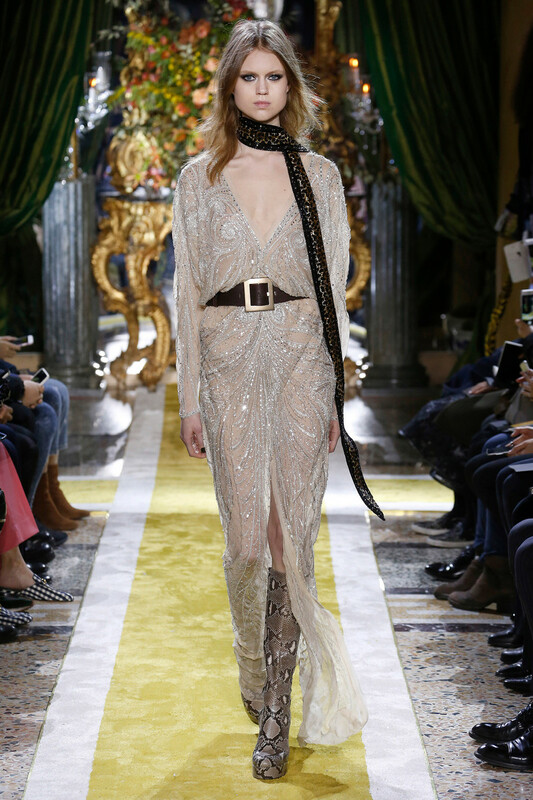 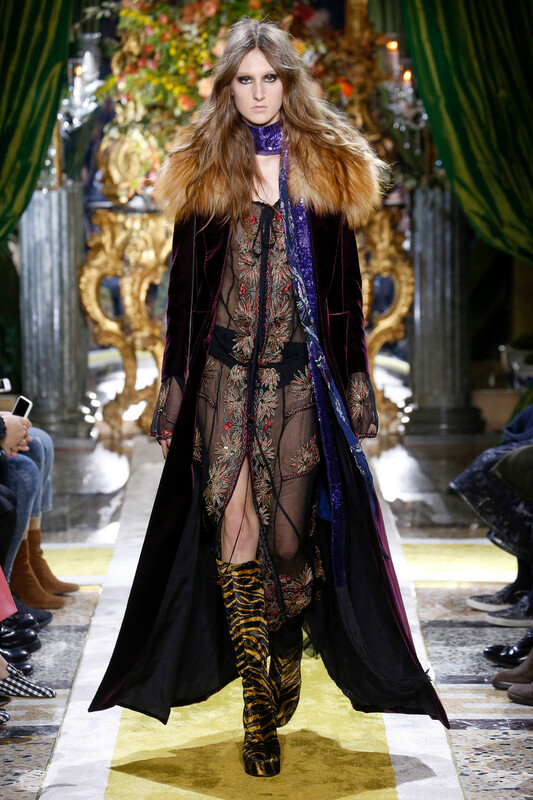 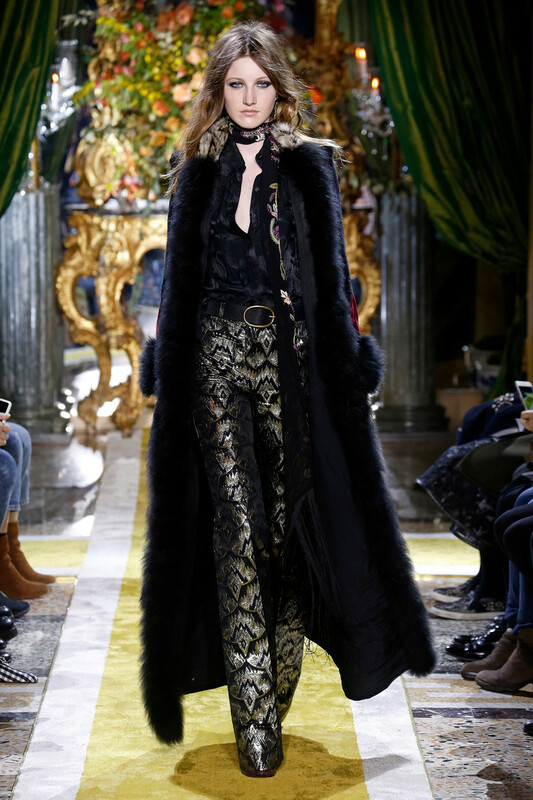 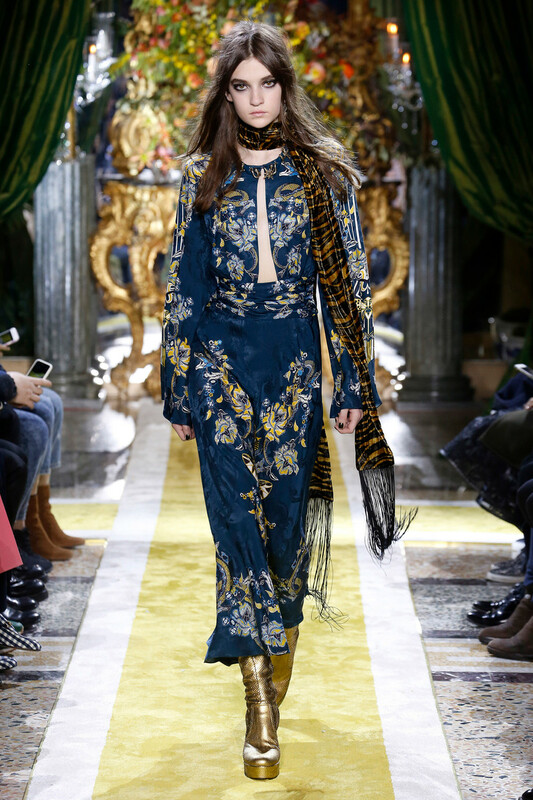 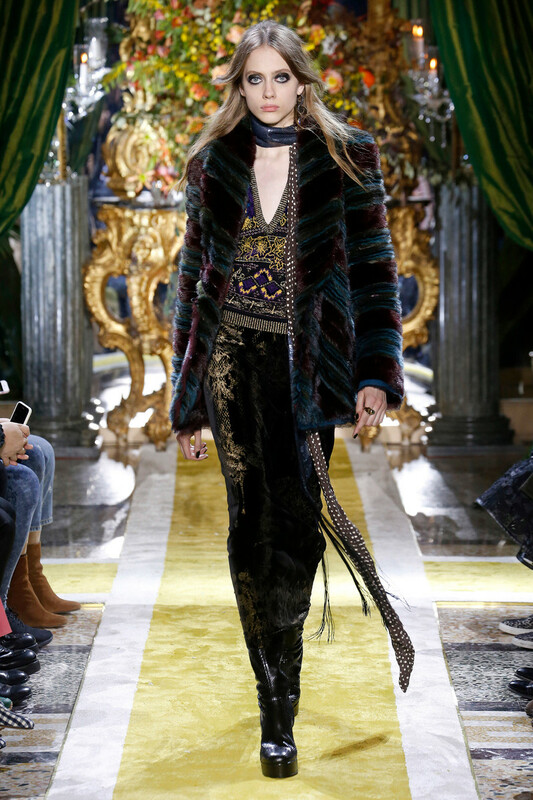 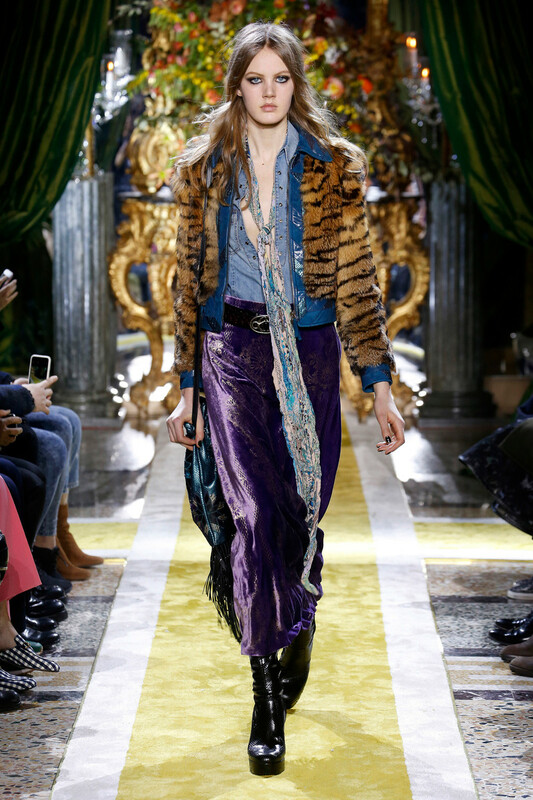 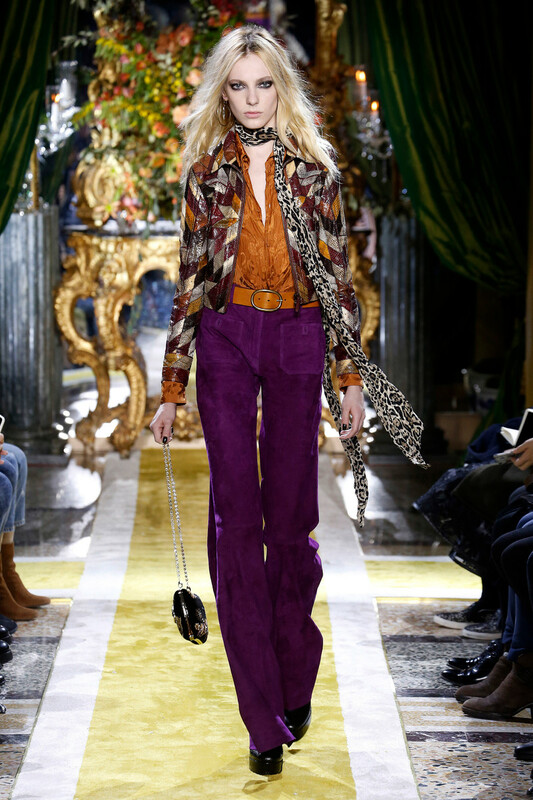 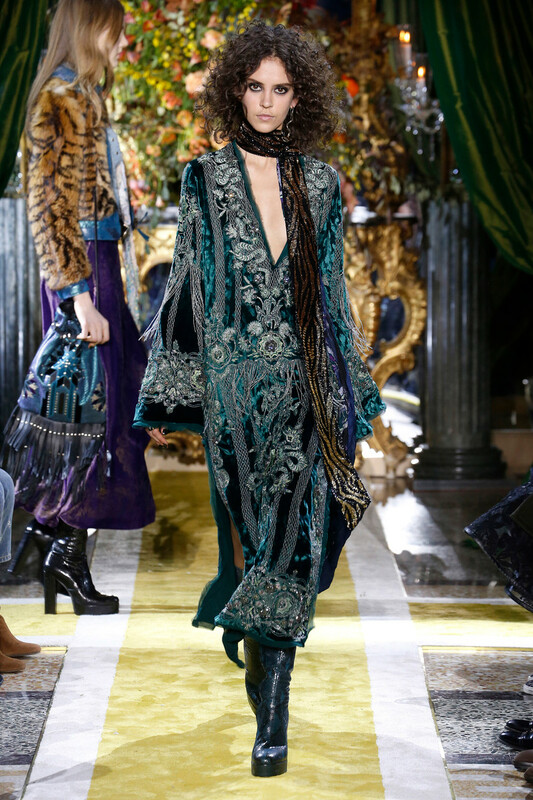 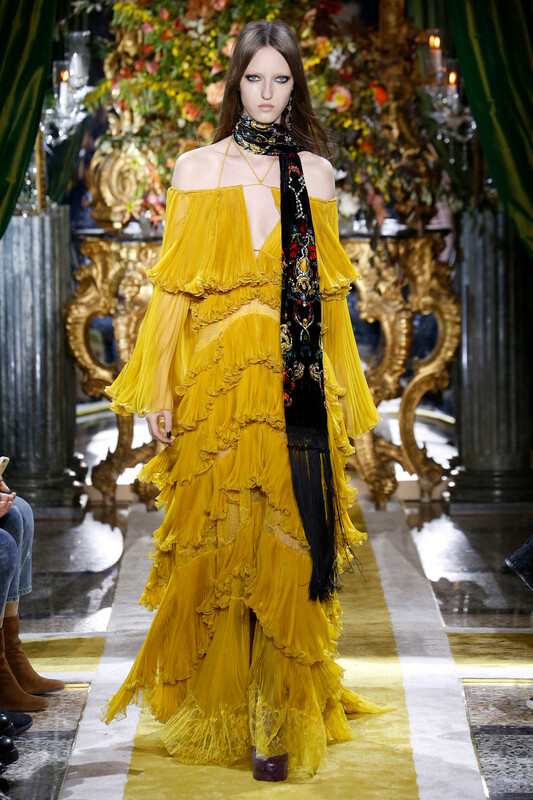 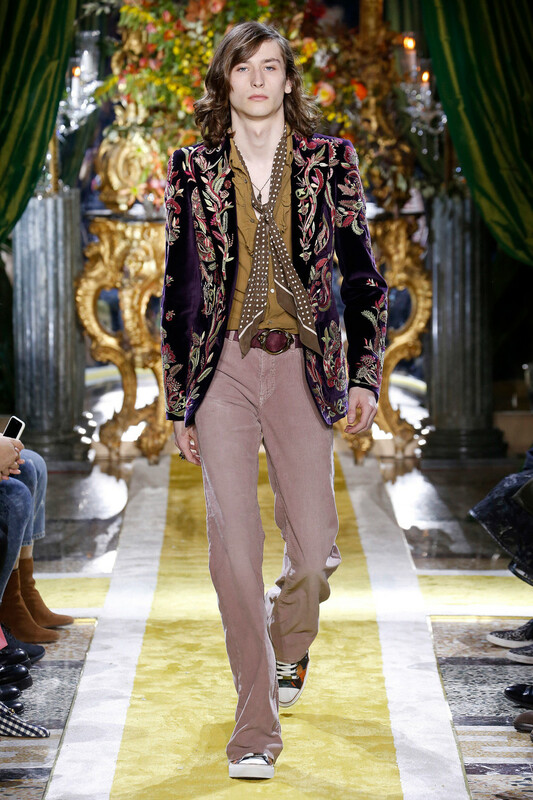 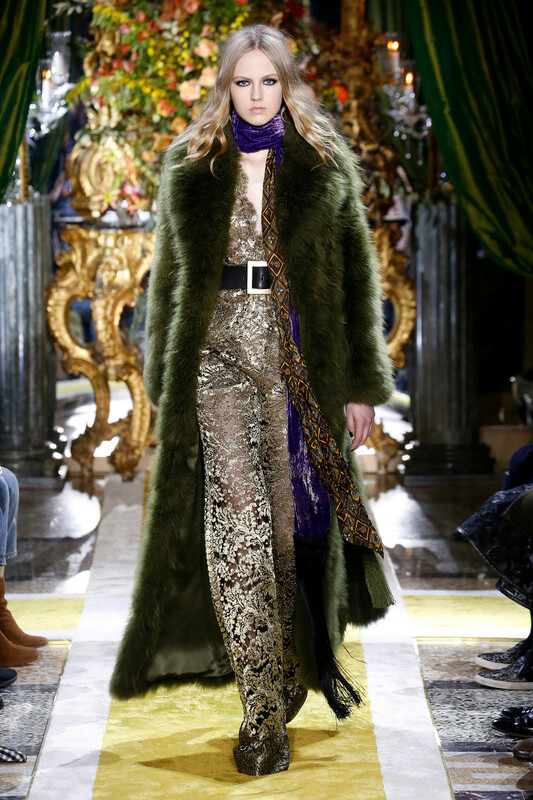 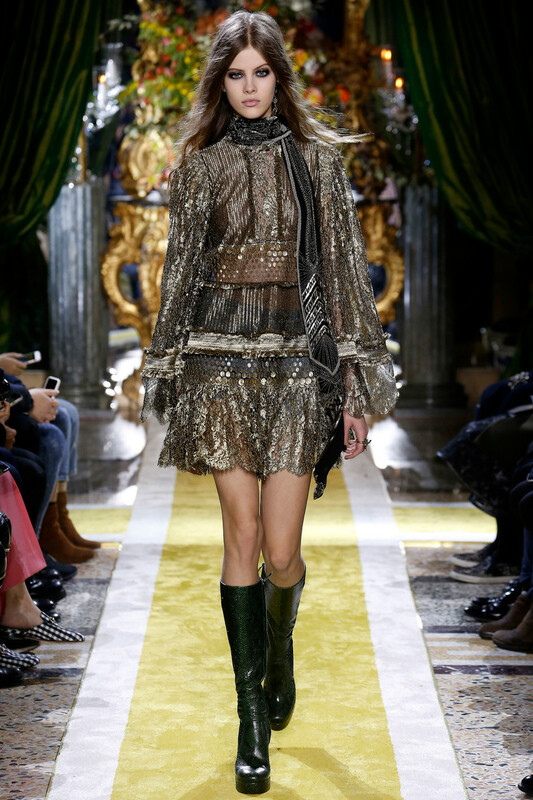 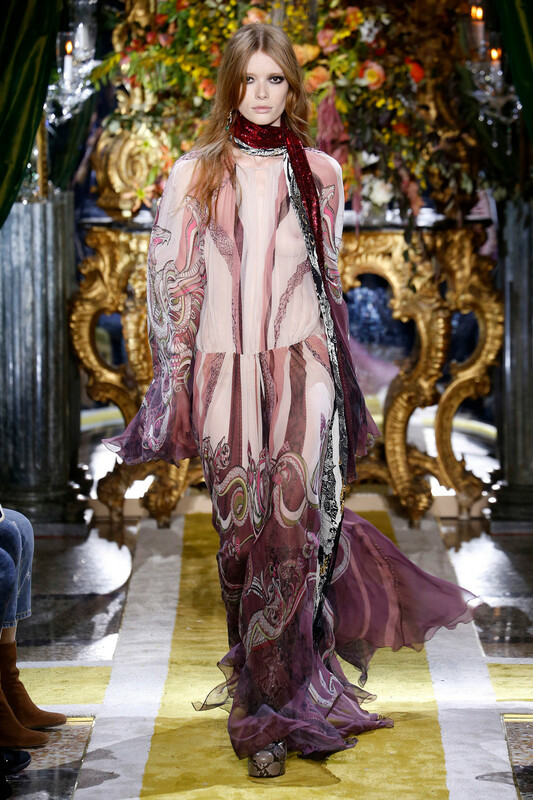 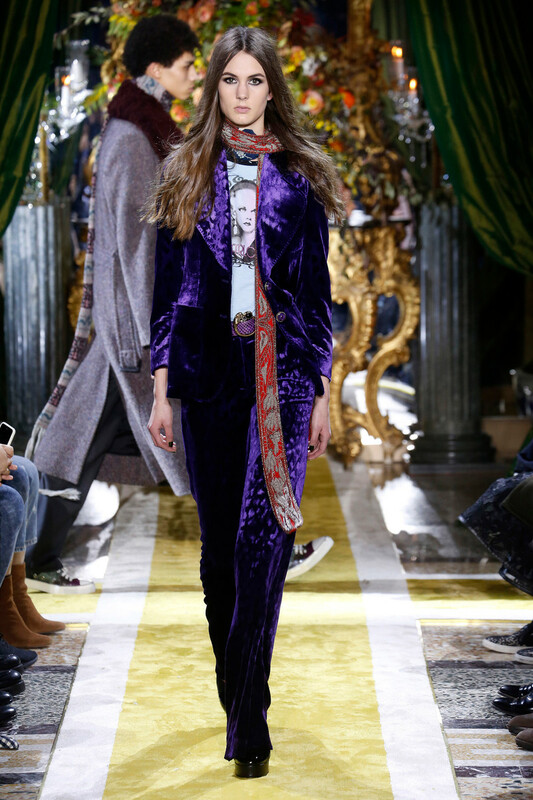 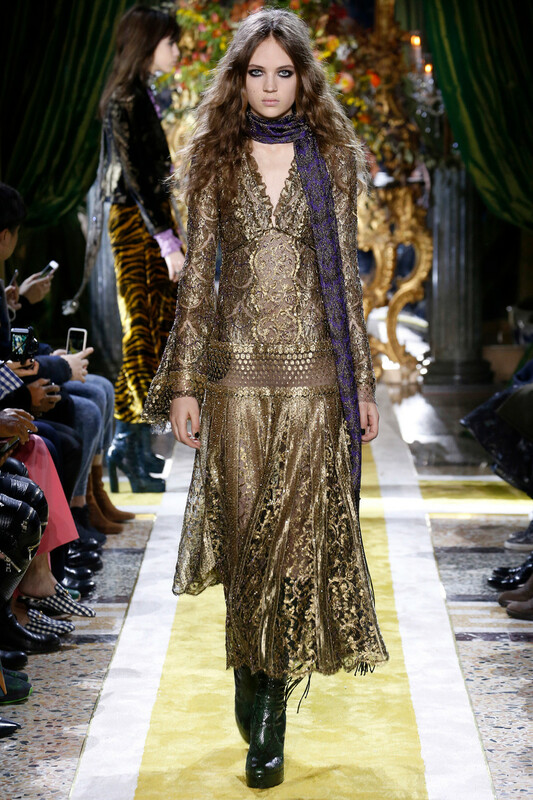 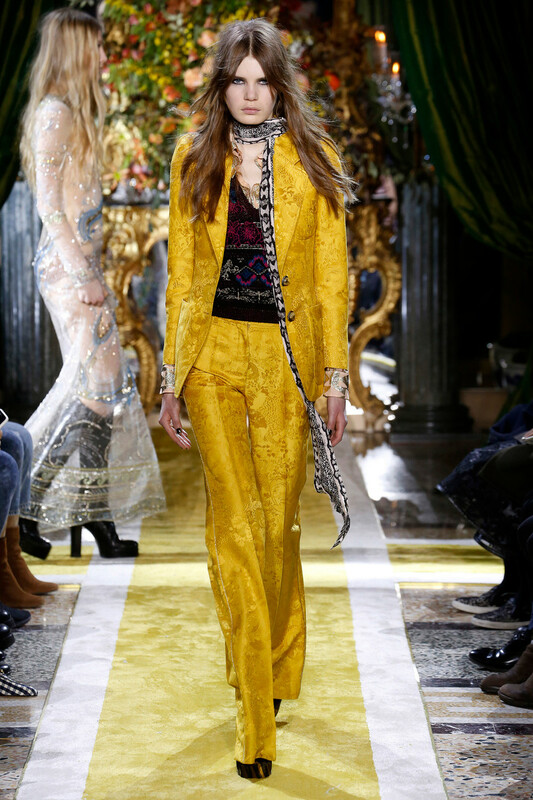 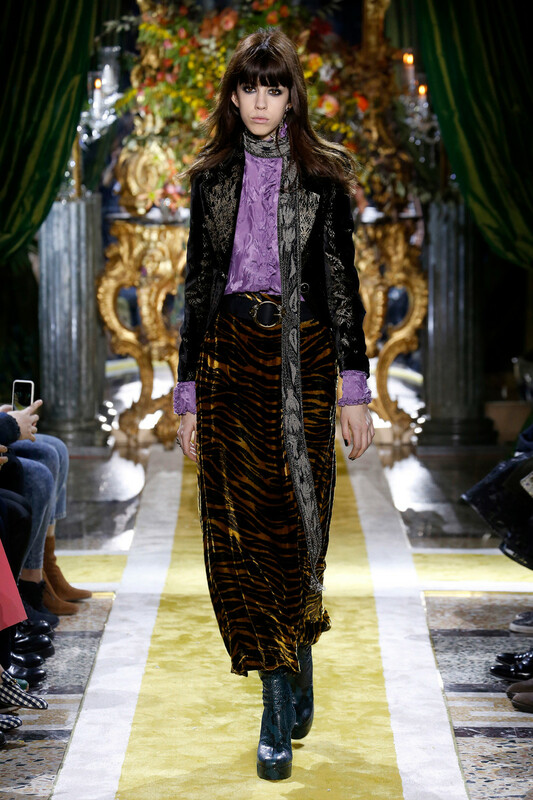 Seventies rock, or Cavalli with a definite touch of Pucci, was Peter Dundas f/w2017 style of choice. 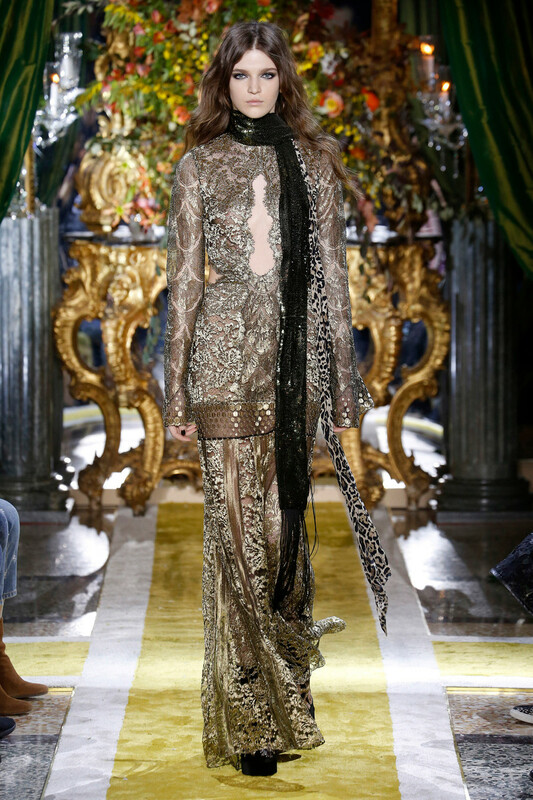 His series of beautifully handcrafted looks presented in front of a brocade back drop were the ultimate, richly colored, mix of strong and sensual, feminine and flamboyant. 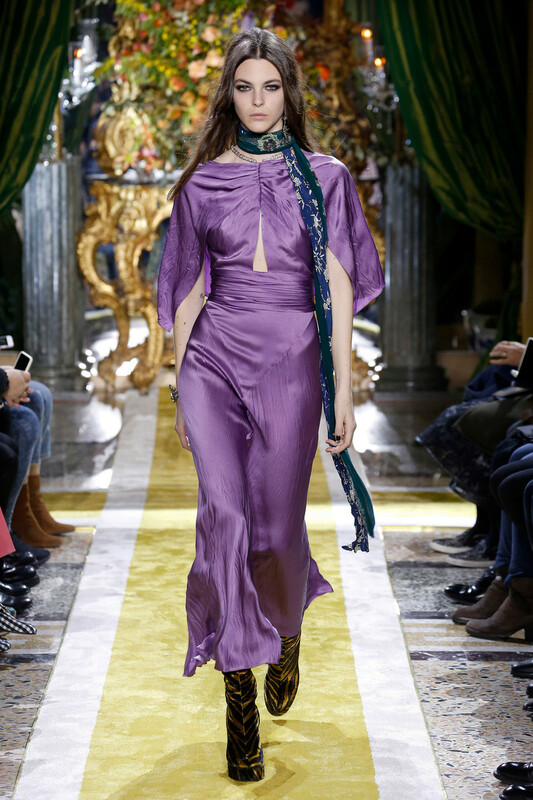 Necklines low, waists high. 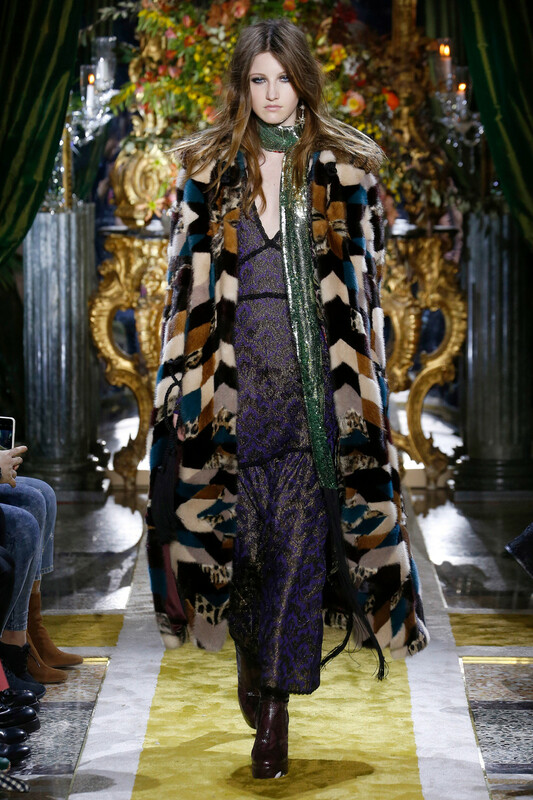 Sheer maxi dresses paired with fur lined velvet coats. 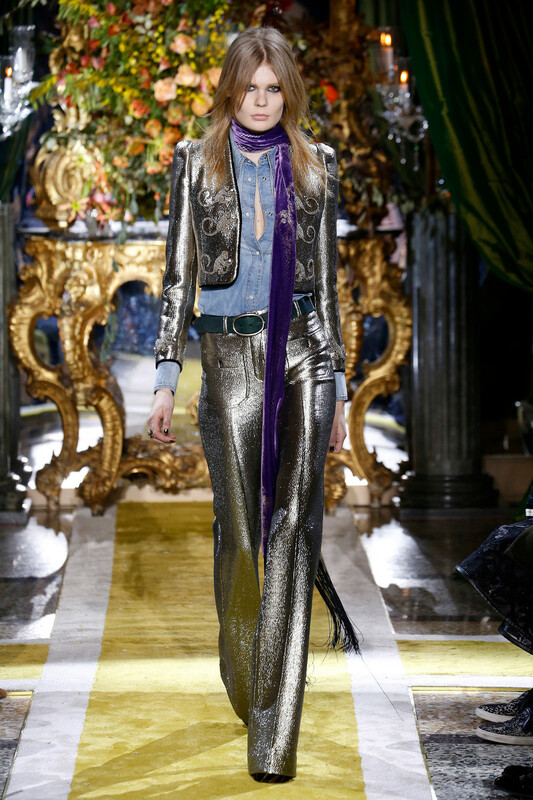 Shiny silk suits worn with skinny lurex scarves. 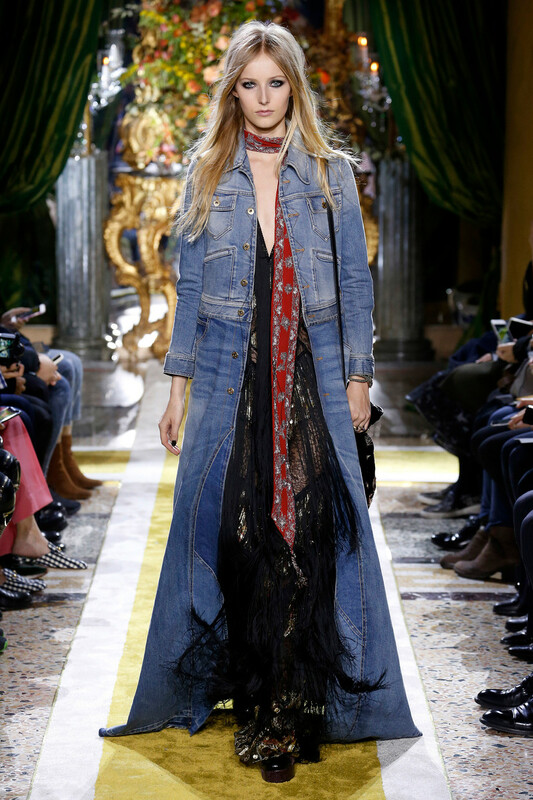 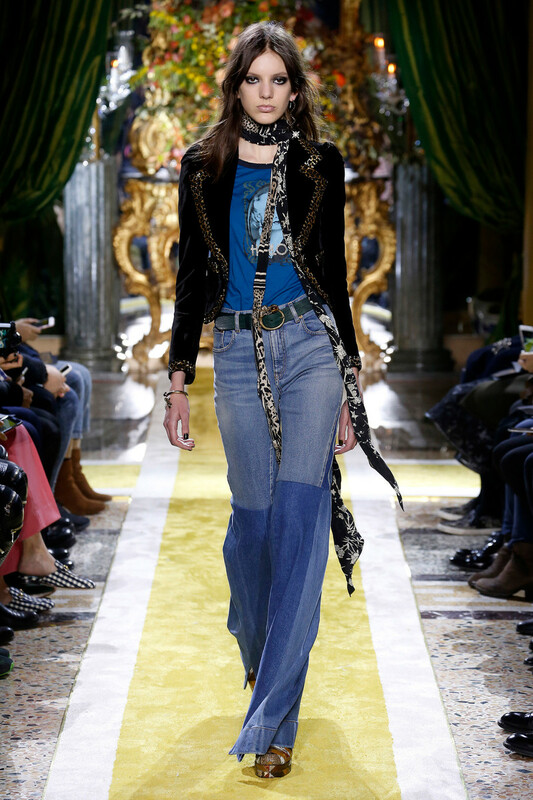 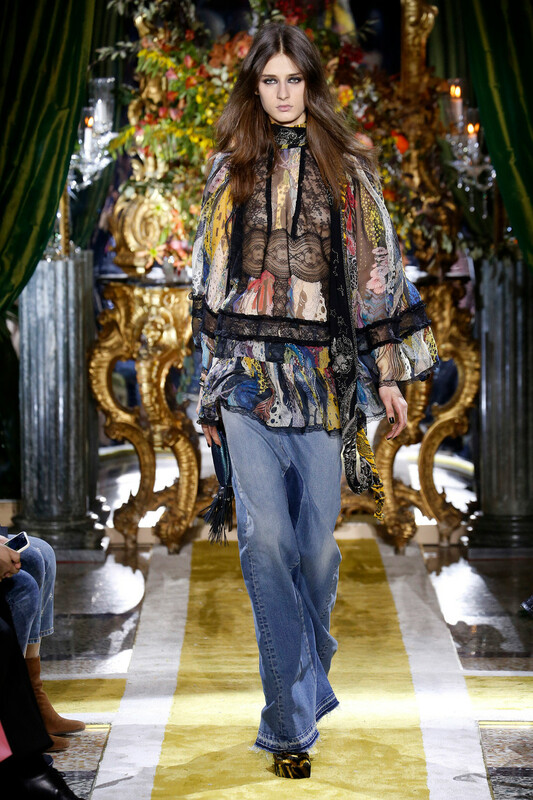 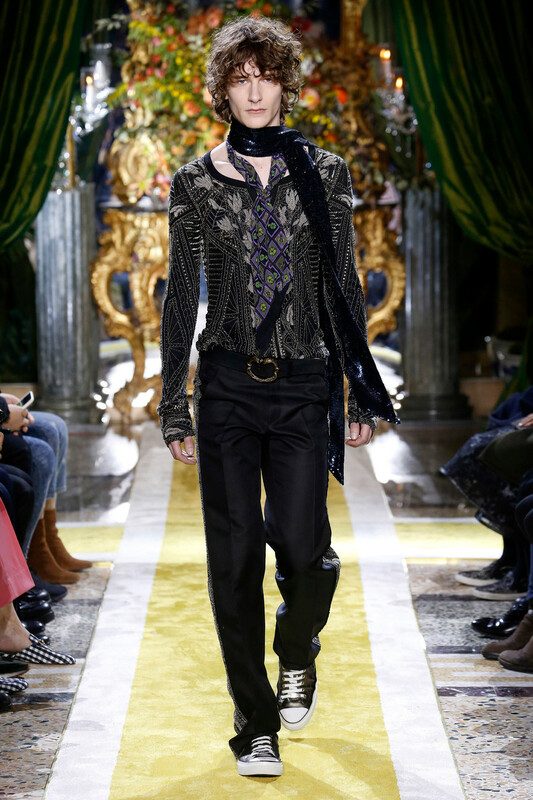 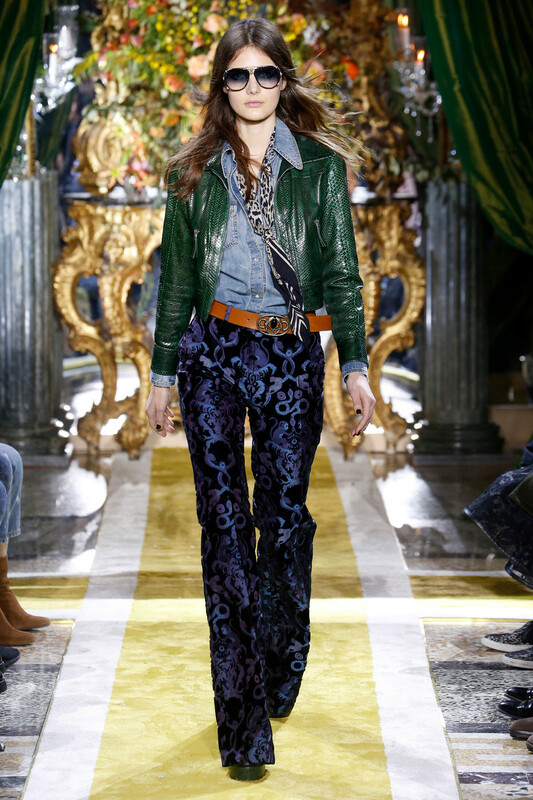 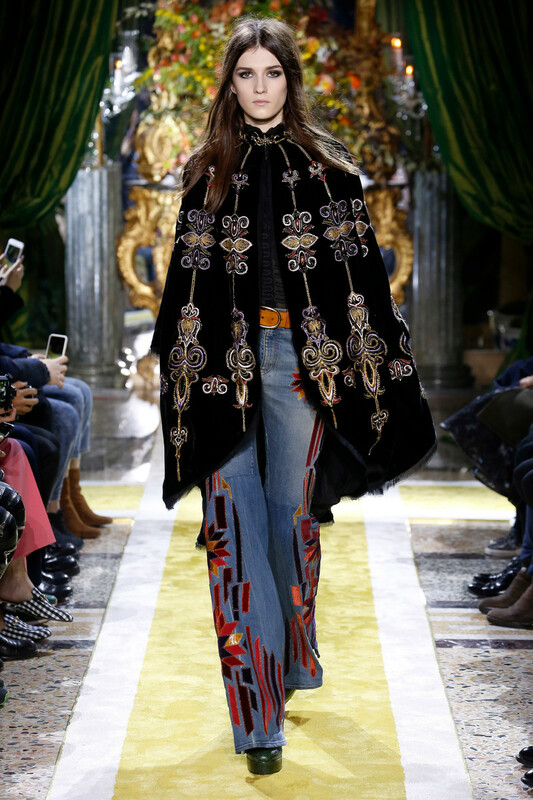 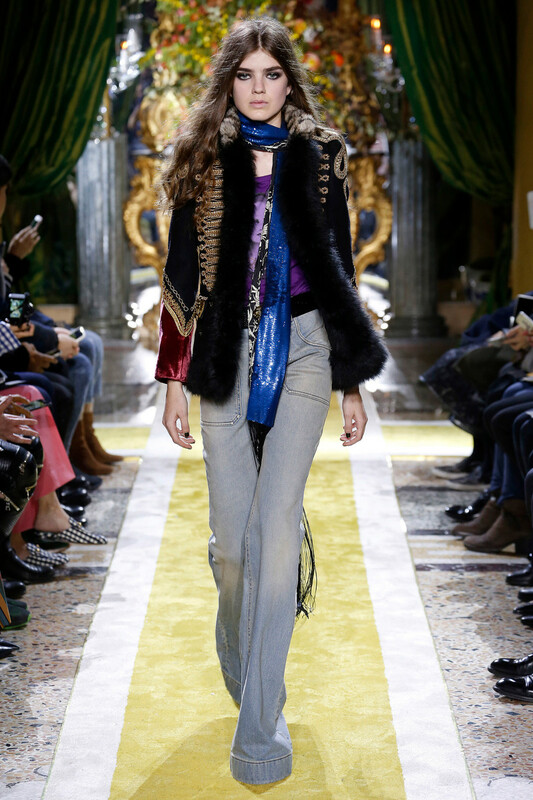 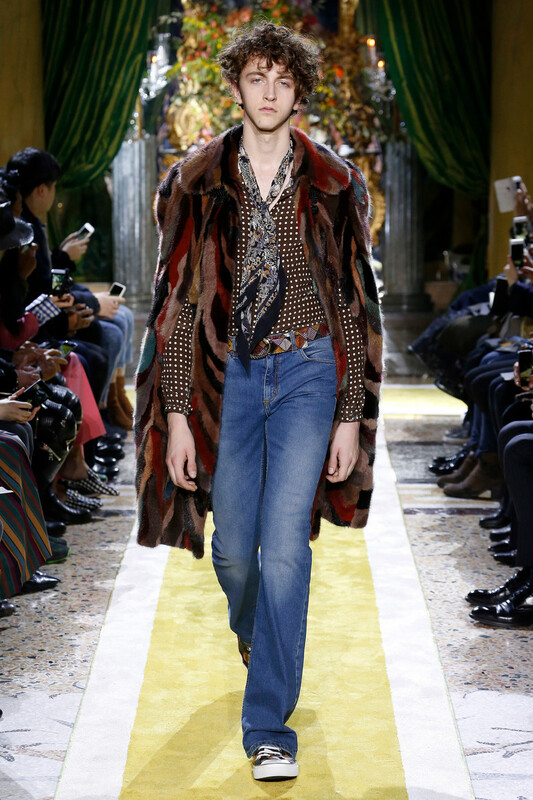 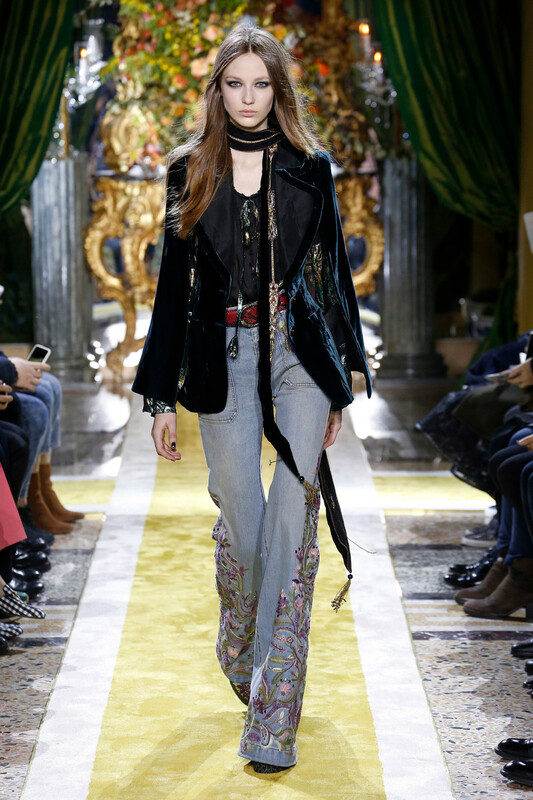 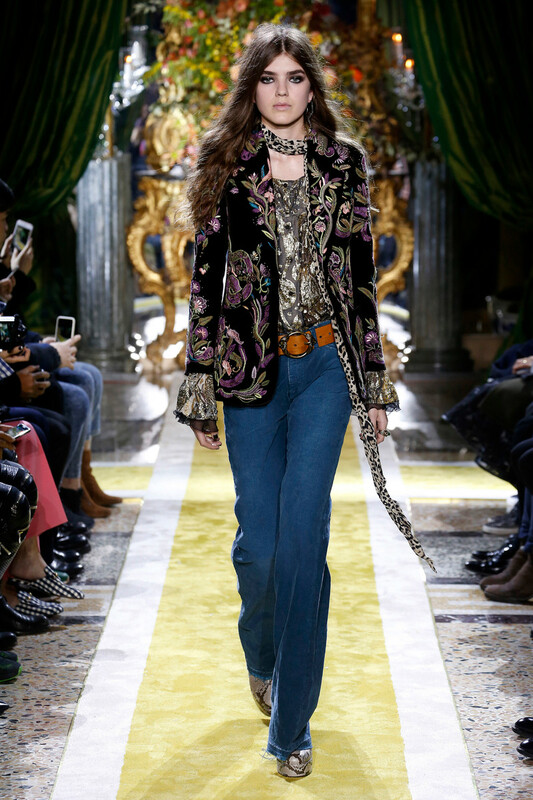 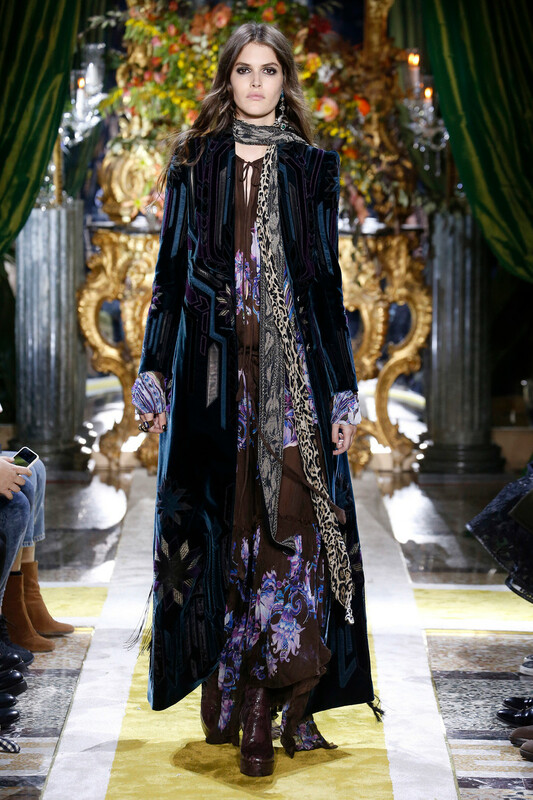 Belted flared jeans and embroidered patchwork capes. 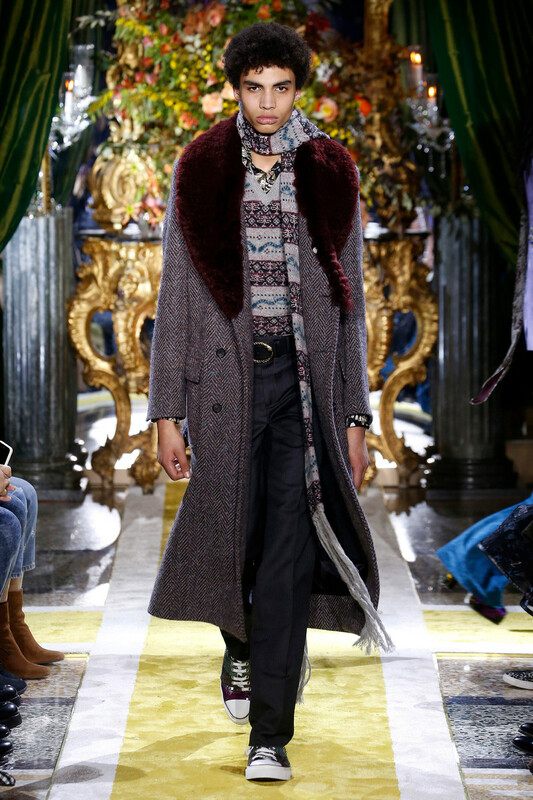 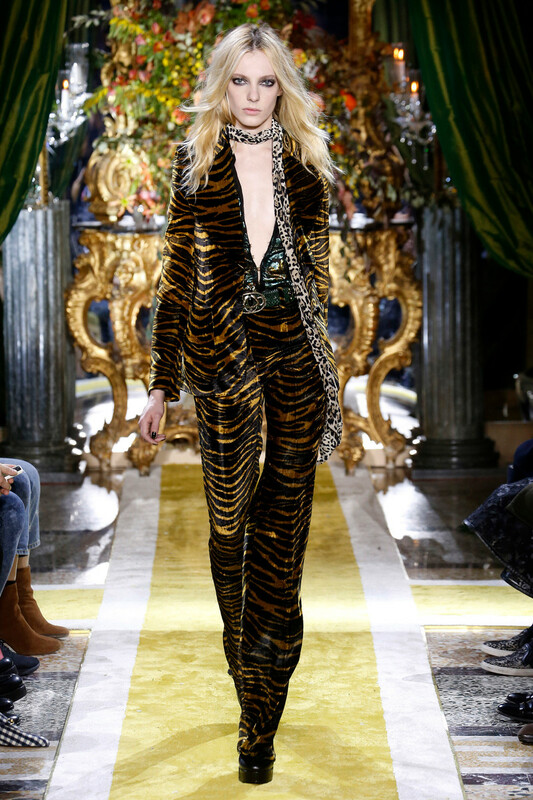 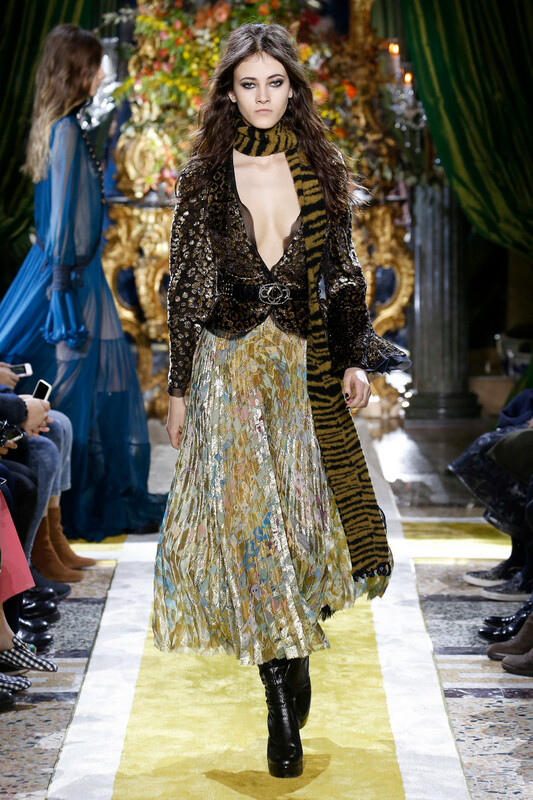 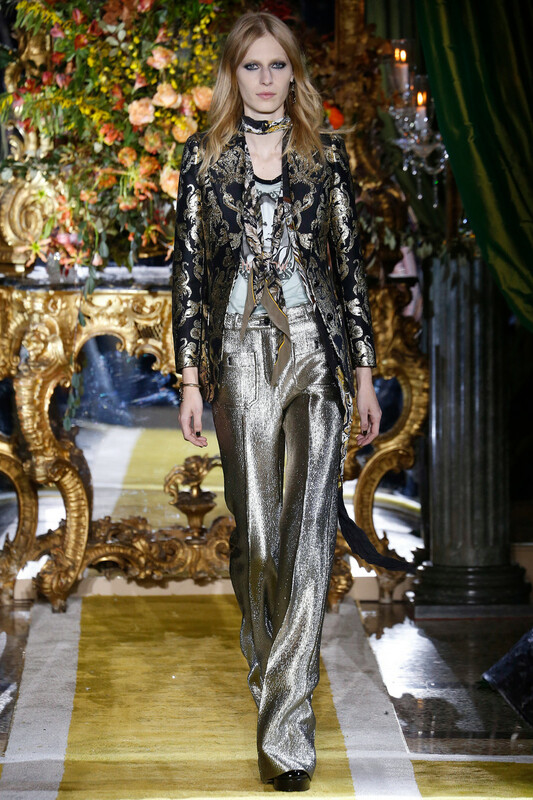 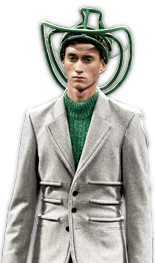 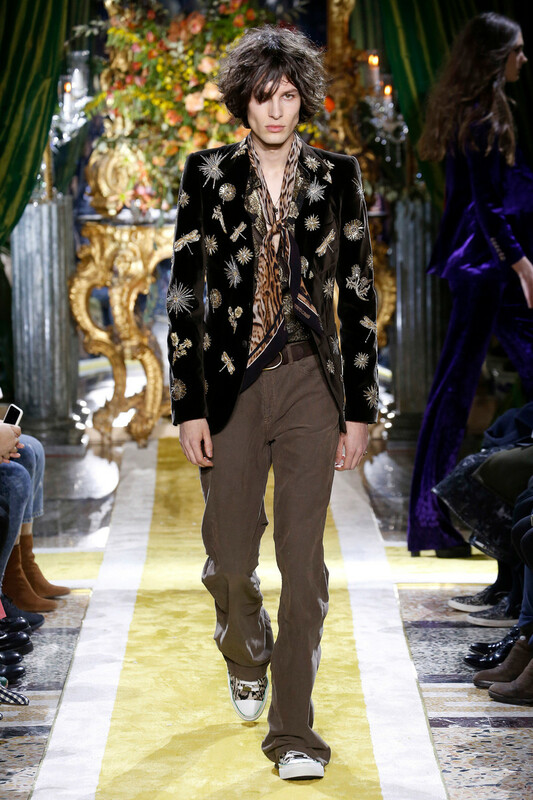 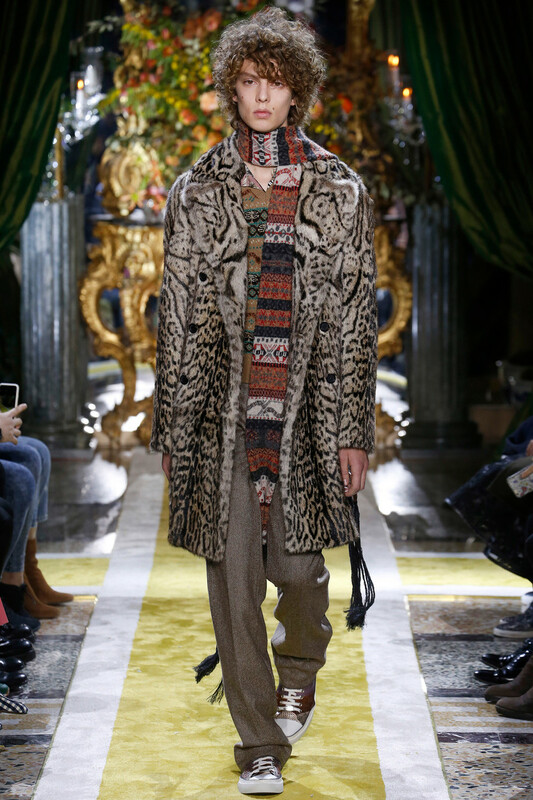 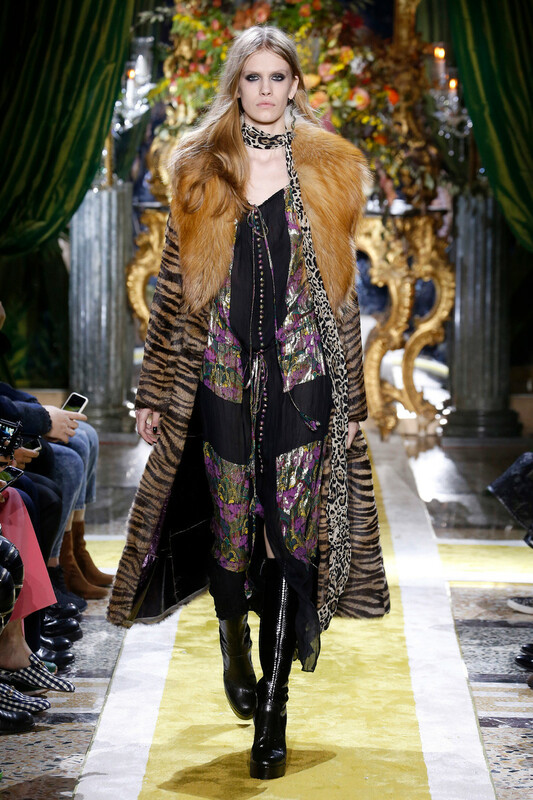 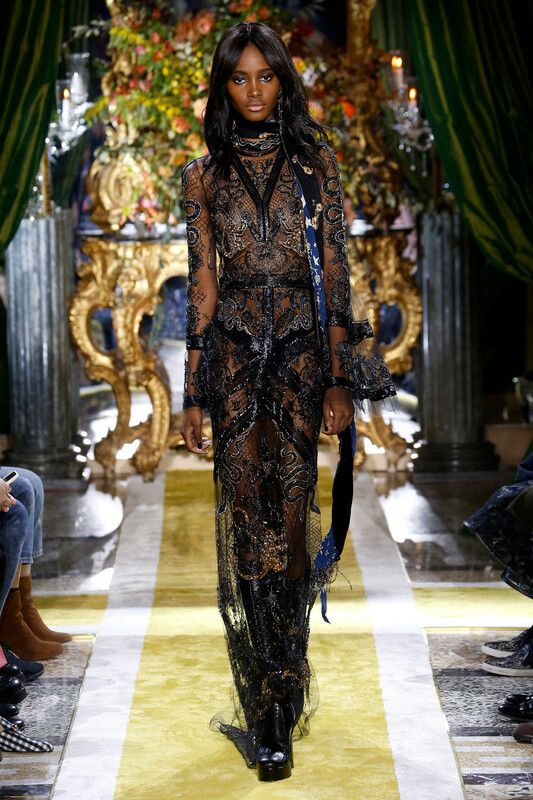 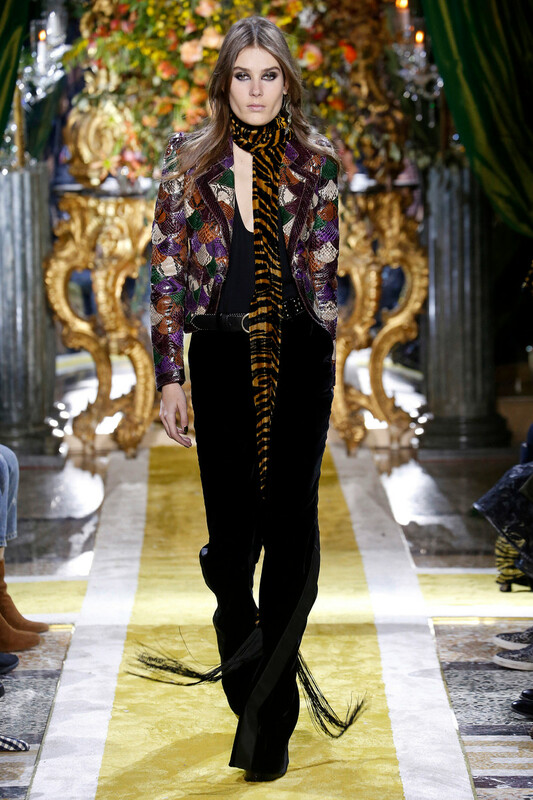 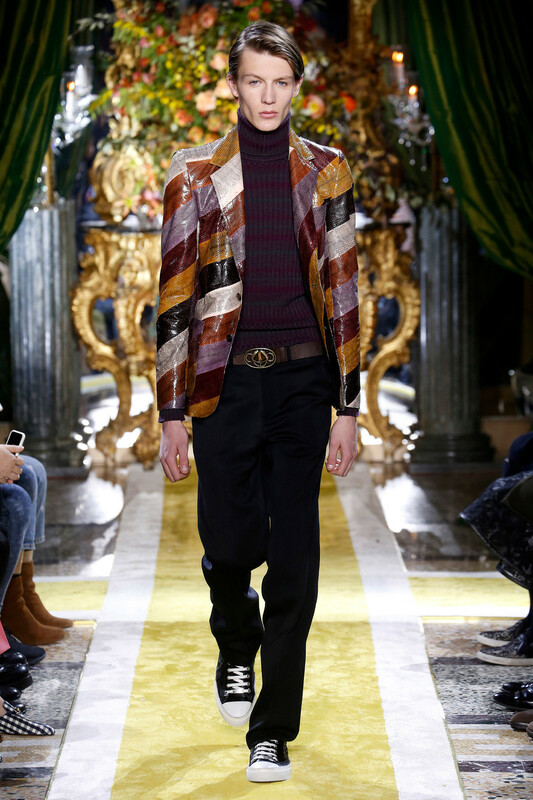 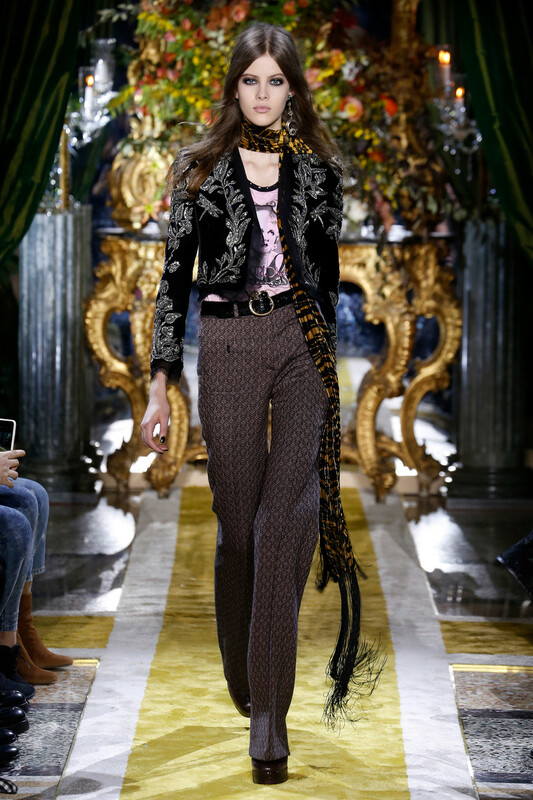 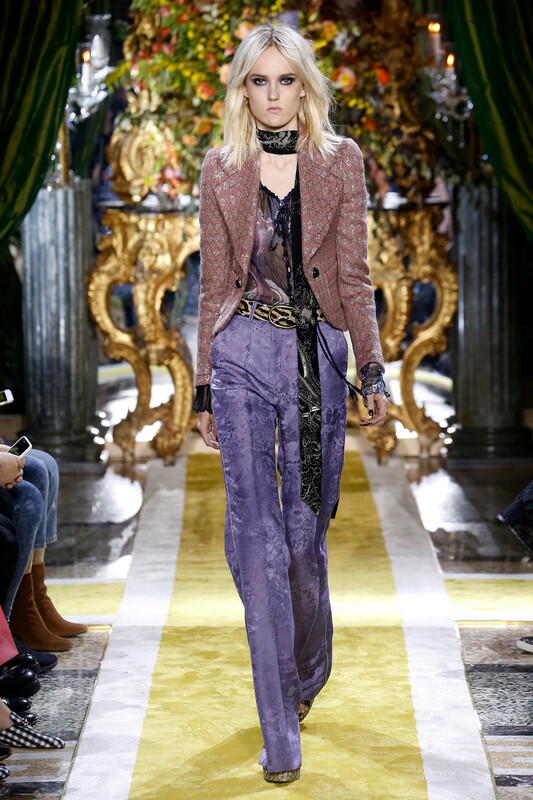 A subtle touch of tiger here, some snake skin there; overall animal prints played a subsidiary part to the floral prints and baroque detailing. 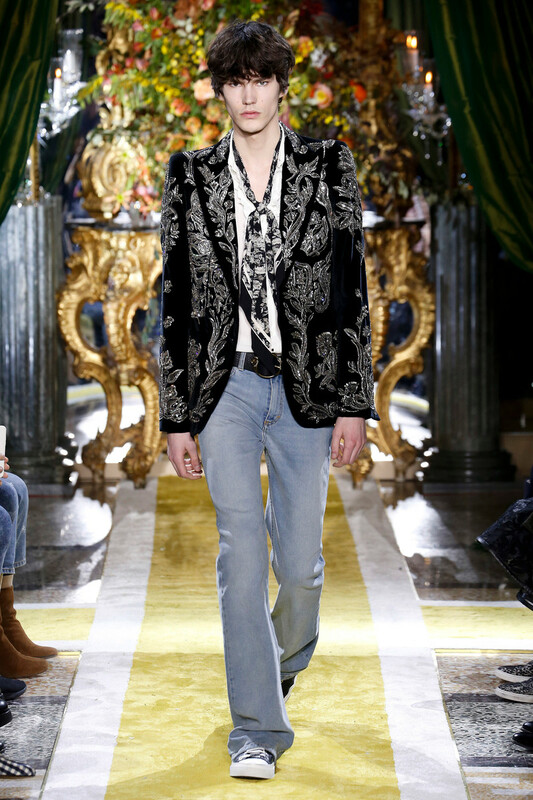 Italian craftsmanship at it’s best.